Parents can log in to Renaissance Home Connect from any computer with an Internet connection and compatible browser. This program allows the teacher, parent, and student to share information about your child's AR progress. If you'd like to receive emails showing your student's quiz or test results, click the Email Setup link and follow the directions. To be sure these emails reach your inbox, add homeconnectautodelivery@renlearnrp.com to your address book. The log-in information is the same your child uses at school to take AR quizzes. If you have questions about Renaissance Home Connect, please call the school office. For current students, to access Follet Destiny, our library management system, follow the steps below. If you have questions, call the school office. Step 1: Click on "Wynnbrook Christian School Library"
Step 3: User name is your child's first initial and first 4 letters of the last name and the 4 digits of your child's birthdate. For example: Jeff Kinney's birthday is February 19. His User Name is "jkinn0219." There are 2 main tabs: "Catalog" and "My Info." Under the "Catalog" tab, you may search the WCS Library. You may narrow your search by Reading Programs (Accelerated Reader) and Book Level. Under the "My Info" tab, you may see the library materials checked out along with due dates. Are you curious about what books are available in our library? You can search our catalog from home. You can also check what books your child currently has checked out. Students have a personal account and can access their account on line. Students can check out three books at a time and have two weeks until the book is due. Students have three days of grace before fines are calculated to the account. Students may not check out books until books are returned and fines are paid. Our school uses Accelerated Reader for tracking student reading progress. Students are STAR tested through the Renaissance Learning Website and are given a reading level to read within. Each student logs into their own account and can take quizzes on the books that are read. Students receive a grade and points with each quiz taken which is sent to the teacher. Parents can also receive emails on their child’s quizzes to track their progress. Encourage students to read on their reading level. Poor quiz grades may not be deleted. Parents can log in to Renaissance Home Connect from any computer with an Internet connection and compatible browser. If you'd like to receive emails showing your student's quiz or test results, click the Email Setup link and follow the directions. To be sure these emails reach your inbox, add homeconnectautodelivery@renlearnrp.com to your address book. The log-in information is the same your child uses at school to take AR quizzes. If you have questions about Renaissance Home Connect, please call the school office. 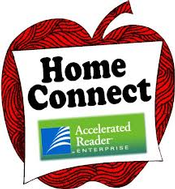 Do you have lots of books at home, but you are unsure if they are in the Accelerated Reading (AR) program? You can enter the book’s information on AR Book Find: http://www.arbookfind.com/ It will tell you the book’s reading level, quiz number, points, etc. Students who have met their AR reading goal get to walk the red carpet on special Fridays. Parents are encouraged to join the rest of the classes as they line the halls giving high-fives, hugs, and cheers. Two times every 9 weeks, students are given pizza coupons for a free Marco's Pizza for having a 90% accuracy or higher on their AR quiz scores. At the end of the 9 weeks, students who have met their reading goal get a free ice-cream from The Ice-Cream Girl. She pulls up in her pink truck and lets students pick between shaved ice and special ice-cream pops. At given times in the year, students can shop the AR Prize store with the points they have earned from the books they have read. Parents volunteer to help guide the students as they shop. Students who read at least a million words through Accelerated Reader are considered millionaires! Millionaires are announced over the intercom, given a certificate, awarded at the Awards Day Program, and are given a special Millionare Breakfast with their parents near the end of the school year. At the end of the school year, students who have met their reading goal each 9 weeks are elligible to attend the AR Field Trip. Field trips have included Six Flags and Stars & Strikes. Each year, starting in November, students are given a Six Flags Read to Succeed tracking sheet to calculate 6 hours of reading. Students who meet this requirement get a free ticket to Six Flags for the summer months. Check out more about the program here: Six Flags Read to Succeed FAQs and their website. At the end of the school year, teachers assign summer reading lists to their students. Look back here for a summer reading list.